In Focus: 'Humans Of New York' Visits Manila—Here Are 5 Lessons We Learned From His Talk In U.P. 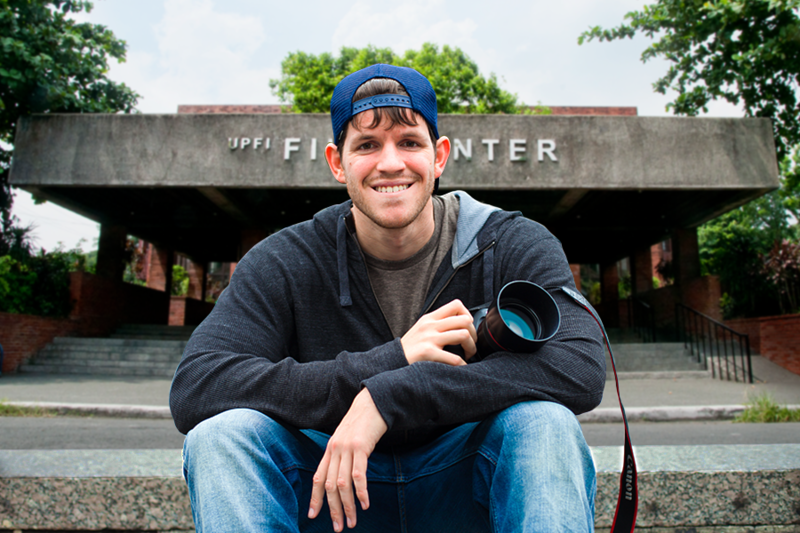 Last February 3, Brandon Stanton, the young photographer and creator of the blog “Humans of New York” (HONY,) came to Manila and organized a presentation at the University of the Philippines Film Center-Cine Adarna. He took the stage and talked about how this project began and evolved over the years. He also shared valuable life lessons which truly inspired his fans. HONY started out as a photo blog that aims to capture 10,000 photos of random people on the streets of the Big Apple. And somewhere along the way, Brandon found something more than just taking their portraits; he began connecting with his subjects and got them to tell their personal stories–tales that touch other people’s lives even in the simplest of ways. At present, HONY has already explored outside of America and has been in more than 20 countries, most recently stopping by here in the PH. According to Brandon, if it wasn’t for his full determination, passion, and hard work, this project would not have come to life. And if he hadn’t overcome his doubts and fears, he wouldn’t be where he is right now. 1. Be brave, and take risks. Like many of us, Brandon was once young, broke, and lost. Yes, he also got scared of the future, but he didn’t let his worries take over. Instead, he got right up after failing and bravely took the risk of starting this project. With just enough courage, he got himself where he really wanted to be. 2. Don’t settle for just being good, be different. Being good at something is what everyone aims for. We all want to find something that we’re good at and own it. But with all the competition going on, may it be in business or in arts, sometimes being different is what matters more. Being good and different at the same time is what truly makes something or someone special. 3. "You can’t wait for the perfect idea before you begin something.” You definitely don’t just sit and wait for the idea to come to you. If you want a successful project, you have to start working on it now. As you go along your journey, you’ll eventually find what you’re looking for–the perfect ideas will come to you at the perfect time. 4. Following your dreams takes tons of hard work. Yes, your dreams would require lots of your hard work, determination, and passion. And going after them definitely wouldn’t come easy. But if you work hard enough, it's all possible–just like how HONY started from the bottom and has now become a platform that inspires in a bigger scale he could have never imagined before. 5. There’s so much to learn and discover on the streets. As Brandon explored outdoors, he didn’t just capture photos of strangers, but he also got to see a part of their lives. Walking on the streets doesn’t simply mean wandering around, but it can also be the perfect chance for someone to look at life a little differently and discover more of what it has to offer through real people with real stories. In working on achieving your dreams, giving up should never be the option. No matter how many times you fall, you get up–because hope will always be there if you just work hard enough. Banner photograph from Chloe Crager Passion Blog: Photography, Portrait from We the Pvblic.